Audioboom / 30th Eric Symes Abbott Memorial Lecture- Blessed are the Hypocrites? 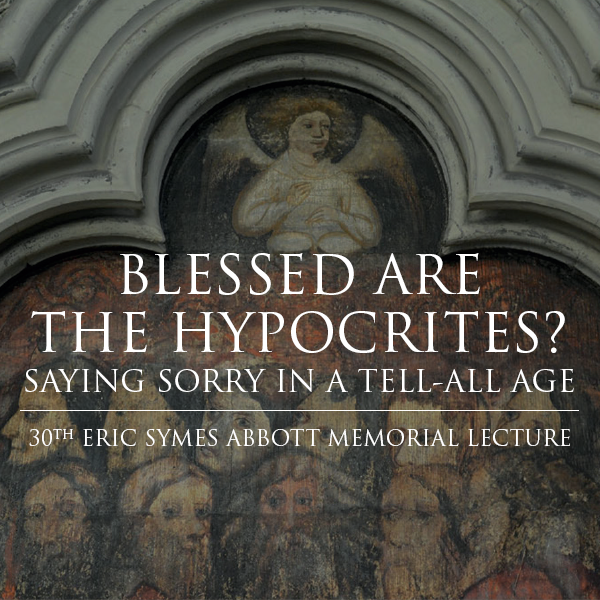 30th Eric Symes Abbott Memorial Lecture- Blessed are the Hypocrites? Confession is big business. As family relationships are laid bare for daytime TV audiences and mock courtrooms try real cases for entertainment, calls for repentance echo everywhere. Those who hold power; religious, political, legal and cultural; are held to account by a free media and unregulated internet. In these contexts, what can the Church say about the Christian requirement for mercy as a public value? Is the quest for purity as damaging as it is noble? Do our public conversations confuse sincerity with truth? And is there any such thing as innocence? Lucy Winkett was ordained in 1995, having worked previously as a professional soprano. With degrees from Cambridge and Birmingham Universities, she served her title in Manor Park, Newham before moving to St Paul's Cathedral where she later became Canon Precentor, the first woman priest to be appointed there. She became Rector of St James's Church Piccadilly in 2010. She is a long-standing contributor to Radio 4's Thought for the Day, was a founding advisor for the public theology think tank "Theos" and is one of the co-founders of "Leading Women", a national development programme for women clergy.